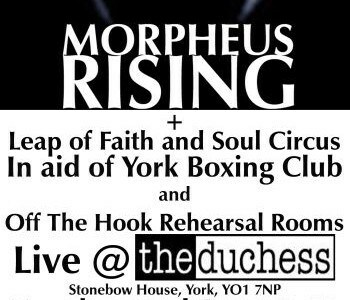 York bands Morpheus Rising, Leap Of Faith and Soul Circus will be playing a charity gig on December 22 in aid of the York Boxing Club and ‘Off The Hook’ rehearsal rooms. 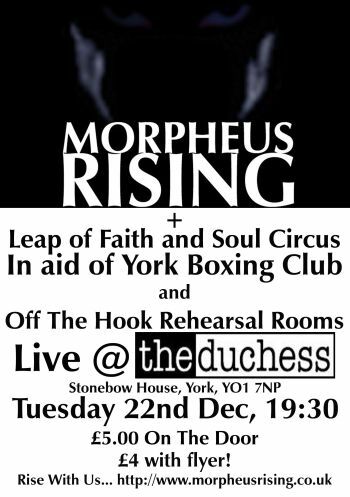 The event will be held at The Duchess in York. For more information visit The Duchess‘ official website.